Welcome to On The Move Careers! 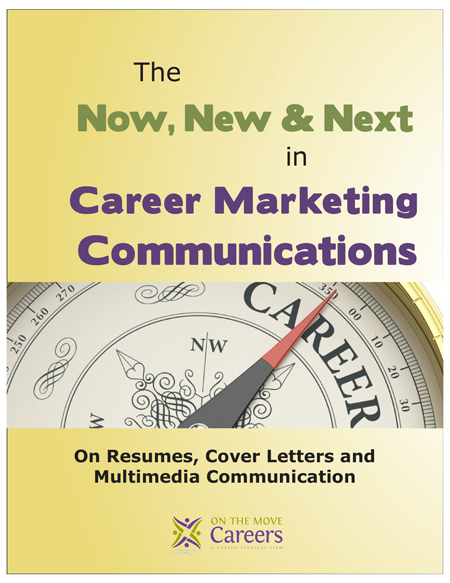 With your subscription, you receive a Free Copy of my most recent eBook, The Now, New & Next in Career Marketing Communications. Join Us and Stay Connected.